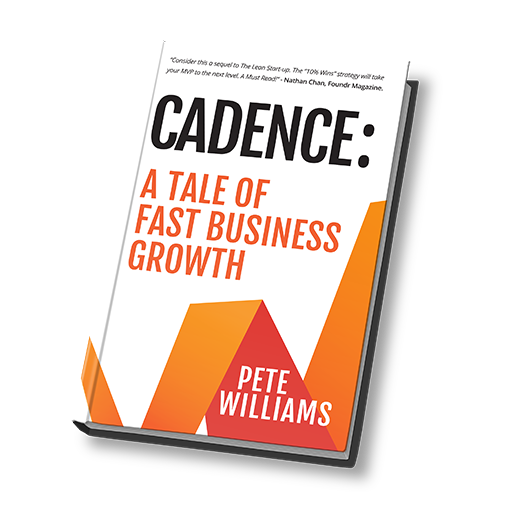 Wow… thanks for your interest in Cadence and its author Pete Williams. To make things as easy as possible for you, we’ve put together this Media Kit. 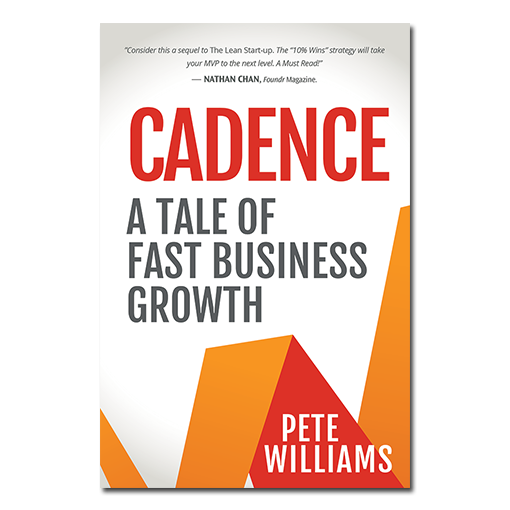 Cadence: A Tale of Fast Business Growth is the story of a business owner and triathlon coach named JJ who left his stable job as a teacher to fulfil his dream of becoming an entrepreneur. Unfortunately, two years after opening his bike shop, called Cadence, JJ finds himself in a place that is all too familiar to most business owners – struggling to stay afloat. Each day over 27 million small business owners around the world open their doors to a feeling of overwhelm and confusion. They feel that panic because most have no idea how to grow their business’ profits. The typical response is to work more hours, spend more money, offer more products, or adopt more marketing tactics. The irony is, “more” is rarely the solution. 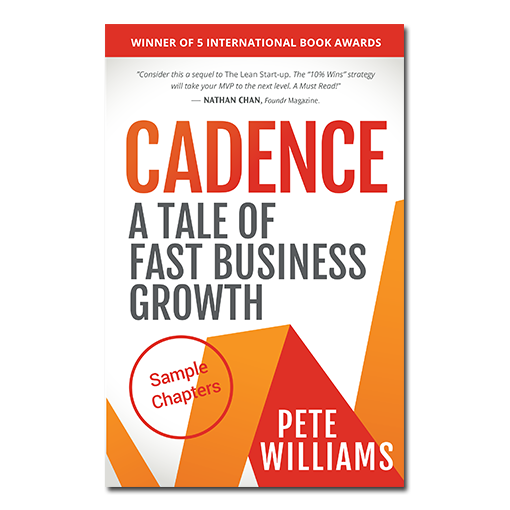 Told through the story of one business owner’s journey, Cadence: a tale of fast business growth lays out the framework known as “The 7 Levers,” and gives you an action plan you can cycle through, to exponentially grow your profits by achieving small wins in these seven areas. It’s time to work smarter, not harder. By the end of this book you’ll have all the tools you need to transform your business and find your rhythm – your cadence – on your journey to greater profits. Some nice people have said some very nice things about the book already. Download our handy PDF with advance praise from well-known figures such as Nathan Chan, Jon Acuff, Mike Michalowicz, Robert Allen and Scott Pape. If you want to get a feel for the book, you can download a PDF with the first few chapters. 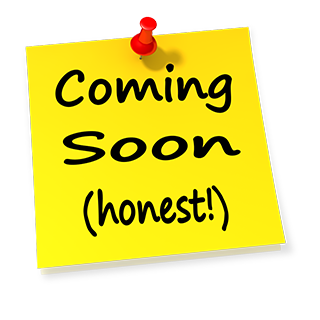 Interested in a pre-release ebook galley edition of Cadence? No sweat … we’re using NetGalley to securely distribute our eGalley. Prefer audio? We’ve got you covered too. We’ve partnered with the awesome team at Libro.fm to provide advanced pre-release audiobooks to the media and book buyers. If you would like an access code, just let us know below and we’ll provide you backdoor access to the audiobook galley-version of Cadence. A Southern Region Finalist in the Ernst & Young Entrepreneur of the Year Program, a Small Business ICON (Best-in-Class) Recipient, and an Australian Business Award Winner for Marketing Excellence, he is the co-founder of numerous businesses across varying industries—from telecommunications services to e-commerce. Having been referred to as “Australia’s Richard Branson” in media publications, Pete first made a name for himself when, at age twenty-one, he sold Australia’s version of Yankee Stadium, the Melbourne Cricket Ground, for under $500—which you can read about in his first book, How to Turn Your Million-Dollar Idea Into a Reality (2007). Pete’s companies include Infiniti Telecommunications, SimplyHeadsets.com.au, SpringCom Telecommunications, and Preneur Group (www.PreneurGroup.com), an advisory-consulting firm that guides business owners through the process of increasing profits, margins and other key indicators by using the 7 Levers approach to business growth. Pete splits his time between Melbourne, Australia and California, USA with his wife Fleur and son Eli. 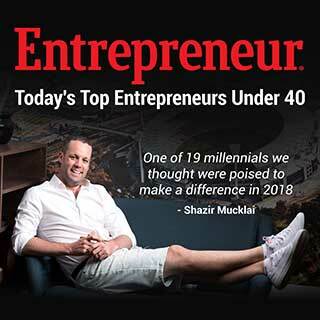 He’s won a number of international business awards, started companies in varying industries from Telecommunications to eCommerce, and even sold Australia’s version of Yankee Stadium, the MCG, for under $500 at the age of 21. Sold Australia’s version of Yankee Stadium, The MCG, for under $500 at the age of 21. Completed his debut Ironman Triathlon in under 12 hours. Is the worst cook you’ll ever meet. We’ve collected together some high-quality book graphics for you to use in your content/promotions. They include a clean version of the book cover, plus some 3D mockups. Click the button below to view and download these images. If you have any specific image requests, drop us a line using the contact form at the bottom of the page. We’ve collected together some high-quality photos of Pete for you to use in your content/promotions. They include different orientations/arrangements so you can select the one that works for you. 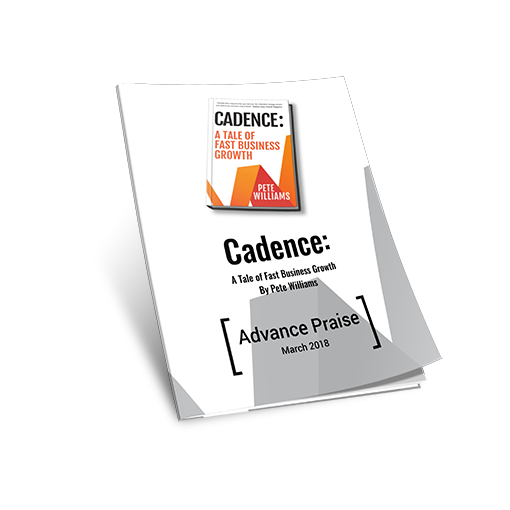 www.CadenceBook.com – is the home of the book. www.PreneurMarketing.com – is the blog where Pete and his team share their thoughts and learnings. 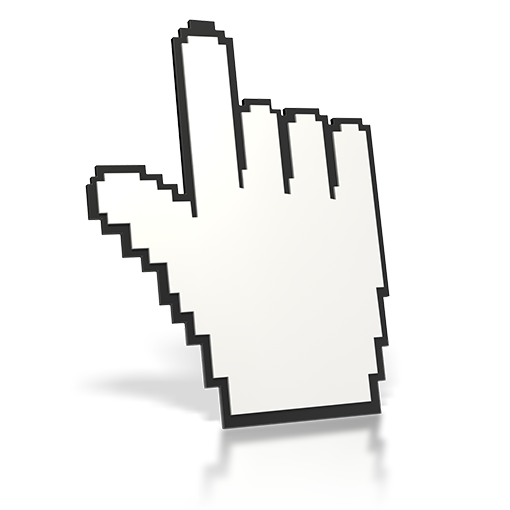 www.PeteWilliams.com.au – is Pete’s personal site with more background and info. Like many authors today, we will be encouraging people to pre-order the book. But, like everyone, we hate waiting for pre-order books to arrive. So we wanted to do something we’ve never seen done before and give your audience their own, unabridged version of the audiobook RIGHT NOW, and start applying the lessons from the book TODAY! 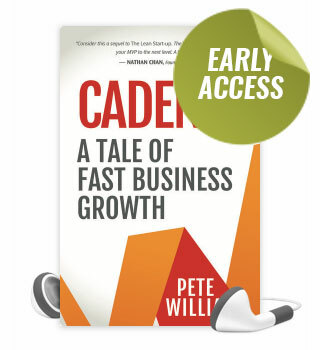 Yes, instead of just rewarding pre-orders of the book with the typical PDF bonuses, we wanted to go that step further and give your listeners/readers exclusive early-access to the audiobook version of Cadence, months before the release in August. 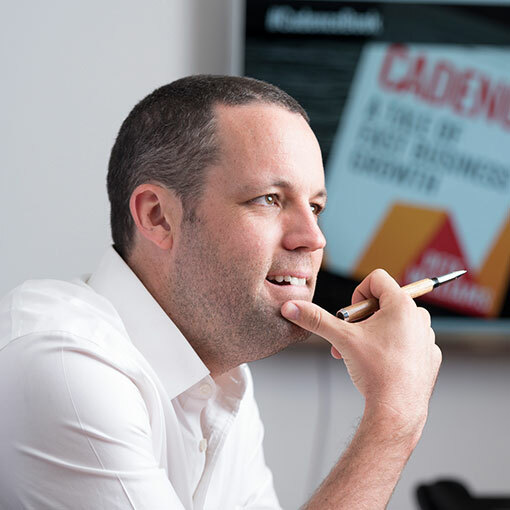 We will create a special landing page for your audience (www.CadenceBook.com/YourName) which tells them how to easily pre-order the book, and by doing so they can also get INSTANT advance access to the audiobook version of Cadence, at no extra cost. We’re not making this offer available publicly – only via direct channels like partners and messages to our own “Preneur Community” (our email subscribers). No one will see this offer by simply visiting one of our web sites… So this really is something we hope you can make a big deal about to your audience, bring them something of value, and get massive goodwill and kudos for doing it. 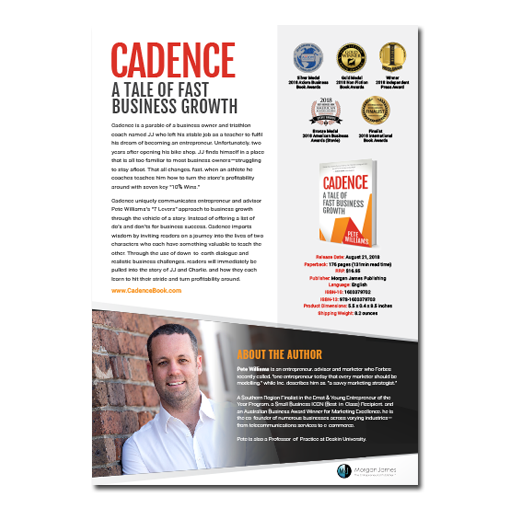 We’ve put together a handy little “Sell Sheet” that has everything you need to know about Cadence, all in one place. Got Questions? Want Something Specific? Need a bit of inspiration? These fine folks have already featured Pete and Cadence.